If you’ve got an excuse for not getting fit, you’ll probably find it in What’s Your Excuse … For Not Getting Fit by Joanne Henson. Joanne covers all these excuses and how to change your habits and attitude. 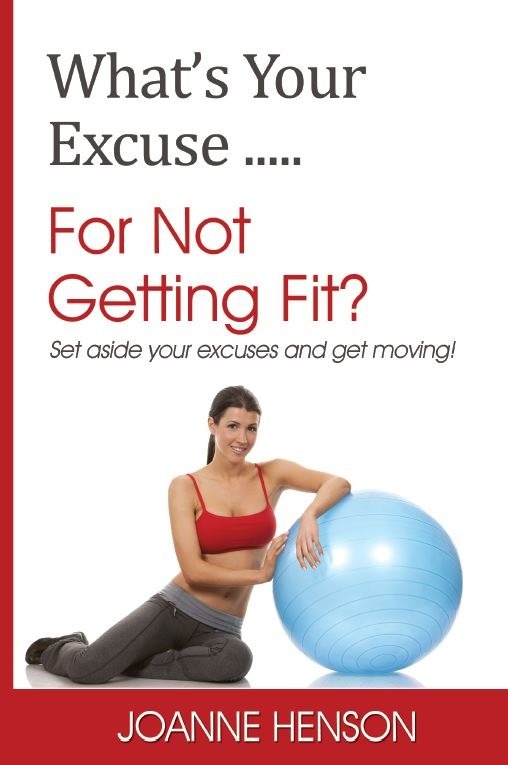 This isn’t a ‘how to get fit book’ but more of a ‘there are no excuses to not get fit’ book. 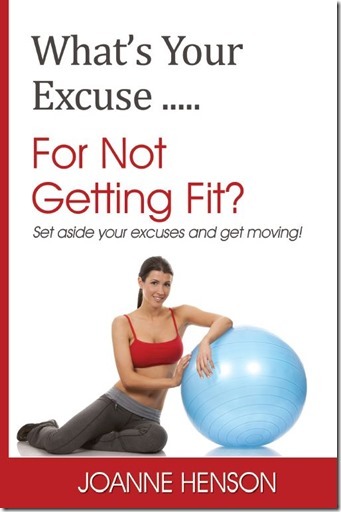 What’s Your Excuse … For Not Getting Fit is available on Amazon, but I’ve got a copy of it to give away. Just leave a comment below letting me know what your excuse is and I’ll pick a winner by random after the closing date of midnight, Friday 27 September. Hmmm where do I start. I have a whole page devoted to excuses on my blog. 18 miles is a long way and I dont want to. I’d rather sit on sofa and eat popcorn and pringles. I have no one to run with and keep me company. I forgot to charge my MP3 player. Last time when i ran and didn’t feel like it I got injured, so better stay in just to be safe. My excuse is usually that “I’ll exercise for twice as long tomorrow” or “This TV show is too good, I can’t exercise and concentrate on watching at the same time” … or that I’m hungry. I have many excuses stored up but the main one I use for the gym is I’m the fattest one there so no point going to just feel bad!! My main excuses are: I look too fat, I don’t want people to see me like that at the gym; I am too tired I won’t be good enough; I’ll do it for twice as long tomorrow; I can’t go out like that as I need a hair wash (I know, ridiculous! ); I’ll do it later… No excuse is good as when I exercise I always feel better afterwards!!!! I’ve probably used every excuse in the book – but mostly I normally just can’t be bothered, what’s the point! At the moment I’m injured so that’s a major excuse, I could probably do something but it will probably hurt so I’m not going to! This summer my excuse was it is too hot. Now my excuse is school has started and I am trying to get a new schedule. The excuses they are never ending. ~ My knees are already messed up, why would I want to run? ~ My bike is in Hampshire and I have no bike rack for my car. ~ Gyms make me uncomfortable and I am poor. Hum then Ill be happy to try to win this book! My excuse not to get fit ? Well I think im fit already. My excuse – the dog is too tired! She comes running with me, actually no, I run she hardly breaks out of a walk! I’ve decided to get fit vicariously by reading running blogs. My body is a wreck but my eyes can easily maintain 8 minute miles. My excuses? Gosh, where should I start. Its weird how us people want to be fit and healthy but continually make excuses (myself included). Hi everyone, I am the author of “What’s Your Excuse…. ?”, and I’m pleased to say I’ve got every excuse mentioned so far covered in the book! Phew! My excuse? My facebook newsfeed won’t read itself you know!